The initiative was started by activist Ram Subramanian. His hashtag has now taken Facebook, Twitter, and Instagram by storm. Sometimes it is easy to forget the bond between Pakistan and India. Growing up in the Middle East, I had a number of Indian friends, and there was never an ounce of animosity between us, except of course, during a Pakistan-India cricket match. During one of these events, the passive aggressive jokes were as bare knuckled as they could get. We took great pleasure in beating the Indian cricket team during matches at Sharjah, while they enjoyed returning the favour at World Cup events. But even during these hot moments, empathy somehow found its way. After Pakistan was decisively beaten by India at the World Cup quarterfinal at Bangalore, where Aamir Sohail lost to his arrogance after dominating the run chase in a batting extravagance, I, like so many of my Pakistani classmates in Saudi Arabia, was deeply disappointed. That evening, I barely touched my dinner and even skipped breakfast the next morning before school, where the atmosphere amongst Pakistani students was gloomy to say the least. Later that night, as with every other night, I was dropped off by my father at my math tutor’s home. This tutor taught at a local Indian high school by day, and gave private lessons to mostly Indian students by night. When I walked in, I expected to see gloating faces; after all, the match had been talked up for days. Instead, the Indian students were very sporting, while the tutor himself tried to cheer me up by blaming Venkatesh Prasad for rattling Aamir Sohail’s cage. I found the relationship to be similarly healthy while studying in Canada. Indians and Pakistanis shared a special affinity; they hung out together, dated each other, and were more like separated relatives than bickering siblings. The most recent story I have to share is of a vacation in Nepal. The sun had set after we had walked a good 40 minutes from our lodge to an elephant training ground. Although Chitwan is a safe city, walking back with family in utter darkness did not seem like a bright idea. Unfortunately, there wasn’t a vehicle in sight. 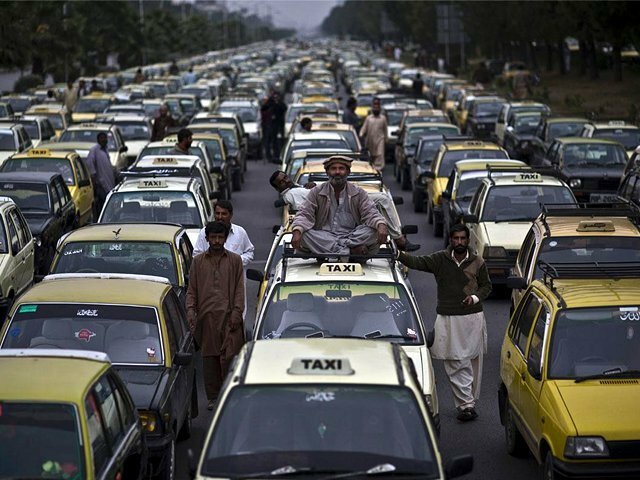 Here, an extended Indian family had no hesitation in inviting a few Pakistanis to hitch a ride with them on the back of their jeep. At the risk of revving up the cheese, there was little room on the jeep but plenty of room in their hearts. Our trip to the country was made more memorable after we befriended an Indian trekker visiting the country from Singapore. We all gelled over the mutual distaste for our governments and the Bollywood film industry in general. With such camaraderie on neutral ground, the friction between India and Pakistan contrasts sharply at home. There are, real issues, of course. Kashmir is one of the most glaring ones. Other religious issues are so vast; one can see why partition was necessary, especially in the light of recent events. The fundamental difference is that the Muslim majority in Pakistan likes consuming beef, especially during Eid. Meanwhile, the Hindu majority in India considers the cow a scared animal. One side believes it is commanded to protect the source of beef, while the other believes it must be consumed. It is impossible to satisfy one belief without insulting the other and is the sort of comedic difference you’d find between two roommates in a sitcom. No, the writers of Perfect Strangers couldn’t have written it any better. As the people of both nations take their beliefs less seriously with each passing generation, you can expect the frostiness to thaw out over time. Until then, there are roguish elements on either side of the border ready to fan the flames. In India, of course, there is Shiv Sena, which is considered a bit of a national embarrassment. The political party, with all the petulance of a spoiled toddler, has had a disruptive presence. They’ve dug up their own cricket pitches, damaging their own World Cup trophy, and attacking their own film stars. Recently, they’ve turned their sights towards Pakistanis in India. The victims have been film stars, theatre actors, plays, cricket board officials, and our favourite umpire, Aleem Dar. 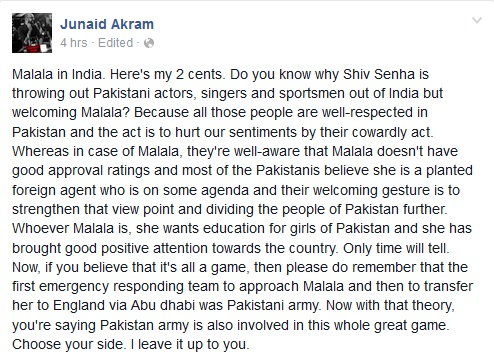 I suppose this is why Shiv Sena’s open invitation to Nobel Prize winner, Malala Yousafzai, was all the more unusual. In their view, Malala is the only Pakistani worthy of setting foot on Indian soil. Malala spoke for education, survived a headshot from the Taliban, delivered a rousing speech at the United Nations, raised a small fortune for charity through the Malala Fund, won the Nobel Peace Prize, was interviewed on dozens of shows across America, and did a magic trick which confounded American humourist Stephen Colbert. It is a tall ask to expect Pakistanis to emulate her feats just so that they can see the Taj Mahal. So, what gives? Is Shiv Sena really a fan of the bravest girl in the world, or are they playing more mind games? Malala’s mixed reception in Pakistan isn’t a secret. While most are proud of her, a very vocal minority attacks her on social media at every opportunity. It isn’t difficult to spot the commonalities between her detractors. For one, the complaints against her are written in barely decipherable English. Ironically enough, the haters of a girl who is taking a stand for education could do with completing school themselves. There is no doubt in my mind that whenever one of these trolls rambles on Facebook or Twitter about Malala, an English teacher somewhere cries softly in a corner. Then, there are the conspiracy theories. While these very Pakistanis would not hesitate to target anyone who questions Pakistan’s Army, they, without realising it, are accusing the nation’s military of singlehandedly leading the country’s biggest conspiracy when they claim Malala’s shooting was orchestrated, considering how the army had a major role in shuttling the injured little girl out of the country, and senior ranking soldiers themselves came on international media to narrate the miraculous story of Malala’s survival. Their final argument, of course, is to say that no one can survive a gunshot to the head. Funnily enough, this is the only miracle they don’t believe in. They will ignore the fundamental laws of physics to defend a fraud who claims his car can run on water, but won’t accept Malala’s story. Is it so extraordinary for a person to survive a gunshot to the head? This report examines 66 patients who were shot in the head. Of those, 34 per cent, yes three out of 10 patients survived. More comprehensive studies though, suggest the survival rate is closer to 10 per cent. While it is far from common, it is certainly more likely, than say, a car that uses water as fuel. Those still not convinced, can read about other survivors by clicking here, here, or here. A simple Google search shall only reveal more stories to you. Of course, some right-wing Pakistanis will never be persuaded, and it is these nationalists Shiv Sena targets when it sings praises of Malala. As soon as the news broke, Malala’s haters across social media ranted about the Nobel Prize winner being an agent of Shiv Sena. It must be said, Malala is perhaps the world’s best agent. According to some Pakistanis, she has worked with the American CIA, the Israeli Mossad, India’s RAW, Pakistan’s Taliban, and a few other groups we aren’t aware of. These very Pakistanis will say that the only institution fighting for Pakistan’s integrity is its army, and is completely trustworthy, except of course, when it tells you Malala was actually shot in the head by the Taliban. Shiv Sena, surely aware of how this girl is received in her home country, has sided with her in an effort to rile up some Pakistanis. This would be like the Indian drama where the handsome villain, intent on breaking up an edgy marriage, fakes friendship with the wife to provoke the idiotic husband. The husband, idiotic as he is, doesn’t realise the wife isn’t responding in kind, and proceeds to damage their relationship further. Maybe we should stop being idiots, or perhaps some of us don’t deserve Malala. Thankfully, social media users on both sides of the border have taken a stand against this ridiculousness the best way they know how: by posting a selfie with messages of peace. The initiative was started by activist Ram Subramanian. His hashtag has now taken Facebook, Twitter, and Instagram by storm. 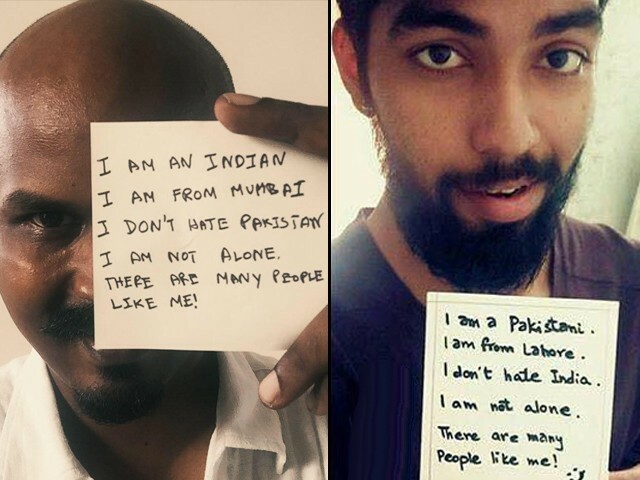 The popularity of #ProfileForPeace is further proof of the tie between Pakistanis and Indians. It is a connection that refuses to be broken, even during cricket matches, even when Shiv Sena acts up, even when Indian viewers have to endure Humsafar, and even when terrible Bollywood movies flood Pakistani cinemas. You’re giving to much credit to the Shiv Sena when you talk about them playing ‘mind-games’… Those mind-games if any are directed towards its coalition partner BJP and this opposition to Pakistanis was a result of the same. WPP or the Omnicom Group should snap up Ram Subramanian because that guy has what it takes to get a message across….in style. While most Indians like to live in peace and harmony and have normal relations with Pakistan and willing to forget the bitterness caused by the Worlds biggest partition generated trauma and manslaughter, the recent Pakistan Army’s policy of using terrorism as a State sponsored policy to trouble India and hippocracy and insincerity in bringing to justice the perpetrators of Mumbai attacks forces every Indian to believe that Pakistan can not be trusted. Under this situation all expression of friendship towards Pakistan by few Indians are either foolish sentiments or hollow words. When someone from North India starts speaking hindi like someone from Kerala or Tamil Nadu, wont you notice? When Ajmal Kasab gave his interview his accent was so different from the way we speak in Pakistan that very few Pakistanis actually believe he was Pakistani. Here is a classic example of INTOLERANCE. . Perpetually harping over Bombay attacks will not solve anything. This beef thing that you mentioned, Noman- the hindu common man in India doesn’t care what muslims/Christians eat. I am a vegetarian- I wouldn’t even want to touch chicken or beef but most of my hindu friends eat non veg and love it as much as you guys do. Many of them eat beef as well. My sister has been eating non veg since we were kids and started eating beef and pork after she moved abroad more than a decade back. My vegetarian friends and I couldn’t care less about the diet followed by our family and friends. During my university days- hindu classmates used to cook beef along with people from other religions and nobody had any problems with that. So when I am in India and I dine out with family/friends- the vegetarians occupy one side of the table and the non vegetarians sit at the opposite end of the table and share their food(an arrangement that makes ordering and sharing food convenient). That’s how it works. I have hindu neighbours who think it’s a sin to eat beef but they don’t impose their beliefs on others. My husband and friends cook non veg in my kitchen. Raw flesh/dead animals,blood and all that stench in my kitchen. I just stay away from the kitchen and force them to clean up after they’re done. My husband is a brahmin- I have never tried to preach and tell him to give up eating non veg. His life, his choice, his mouth, his stomach, his karma, I don’t want to interfere. Point is – to the common man this isn’t even an issue. Political parties rake up dirt for reasons best known to them. At this point of time- we may come across as an intolerant nation but the truth is far from it. I also don’t see why artists can’t visit each other’s countries. As long as they’re not terrorists/criminals they should be welcome in India. Wanted to add one more point. Noman, you said you can now see why the partition was a necessity. 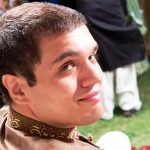 You’re on facebook , Noman. Contact Indian muslims on facebook and ask them if they’ll move to Pakistan. They won’t. Indian muslims never migrate to Pakistan- why? Because India is a safer and better environment to be in. If things were really as bad as you think they are- you would see indian muslims lining up for Pakistani visas or citizenship. One hears of pakistani hindus moving to india but you never see Indian muslims moving to Pakistan. You are intelligent enough to know what that means Noman. 1 sec 1sec.. First of all Gujarat is an internal issue of India and it was not a massacre but a riot where both side killed each other. I fail to understand why does this concerns Pakistan. Do you still consider yourself part of India? Secondly as for Samjhota express, it was OUR intelligence who caught the culprit, NOT YOU. The culpit is undergoing trial and be assured it is not like fake trial of Hafiz Sayeed and Lakhvi.